At TMT Enterprises, Inc. we carry just about anything you can transport in bulk trucks. Our history is deeply rooted in serving the construction industry, to which we remain seriously committed. Our decades-old relationships with aggregate producers around the state and our large purchasing volume assure us of the most favorable pricing available on all materials. An advantage we pass on to our customers. Be sure to call for job-specific pricing for all your construction aggregate needs. TMT is now producing screened fill sand as well as golf course and sports field grade top dressing sand at our operations located in the Central Valley. The economy of producing our own material allows us to competitively serve from Sacramento to Fresno and from Sonora to Santa Cruz with quality sand products. TMT Enterprises, Inc. is also now in full production of screened topsoil, sandy loam and fill sand at our Fremont facility. 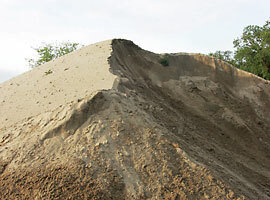 We can meet all of your large volume soil or fill sand needs from this close-in site. 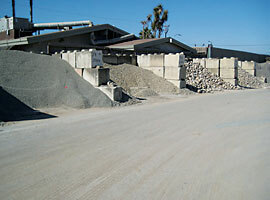 We have an assortment of crushed aggregates available from this facility as well.